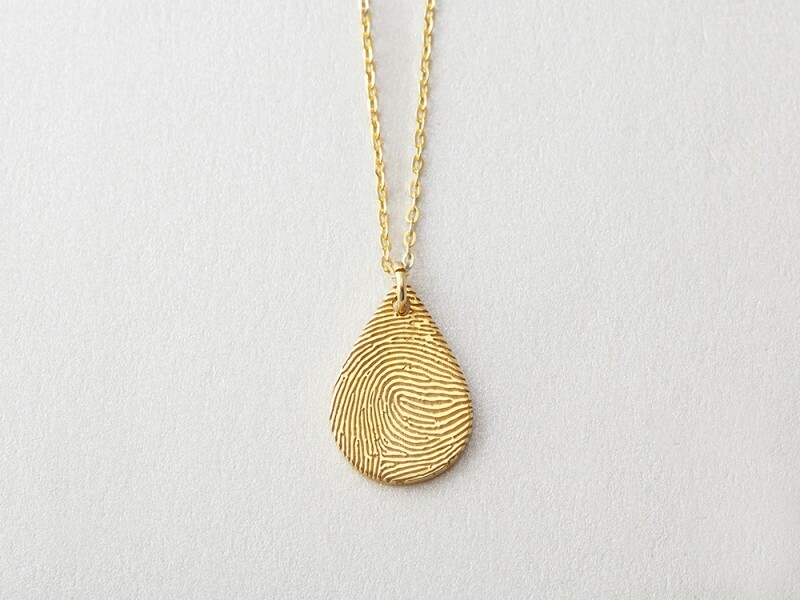 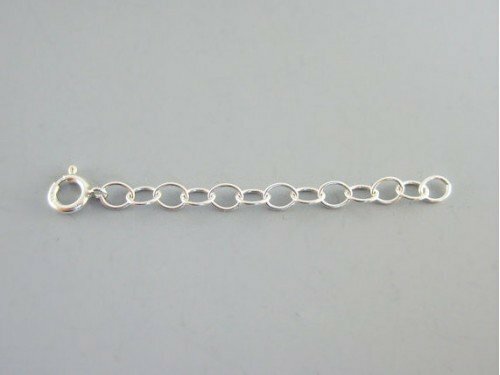 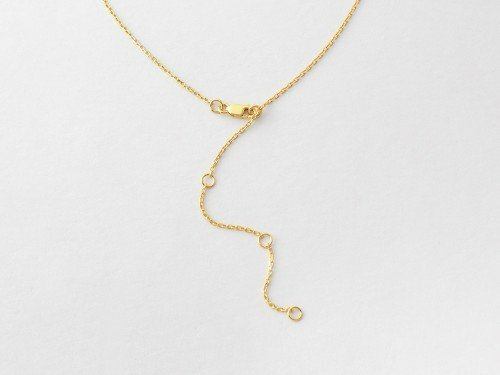 This tear drop fingerprint necklace is a beautiful keepsake in both look and meaning. Honor someone's memory with this sterling silver thumbprint charm pendant of the finest quality. 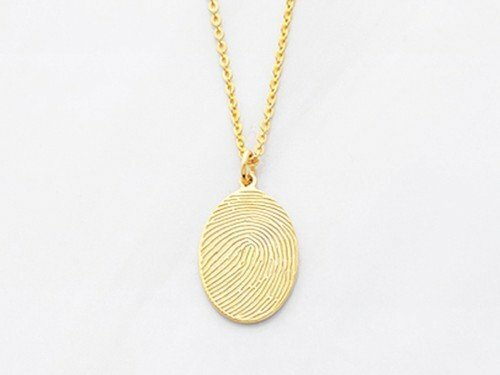 This handcrafted fingerprint necklace can be personalized with just an ink print of the fingerprint - no kit required. 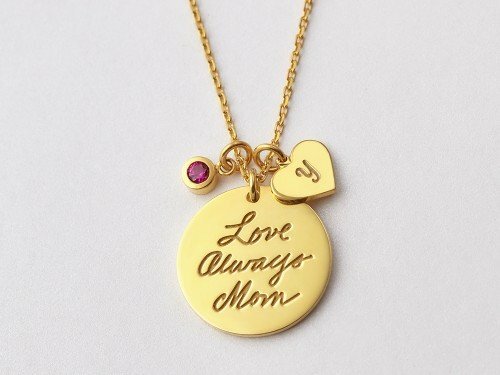 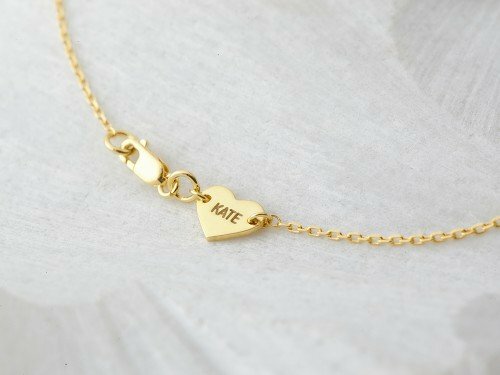 - You could add 1 word on the back of the pendant. 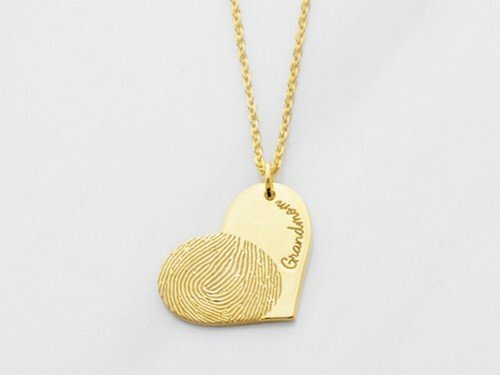 Measurements Pendant measures 3/8 x 5/8" (11x15mm).